Secure vegetables, vines and limbs safely with Soft Plant Ties. 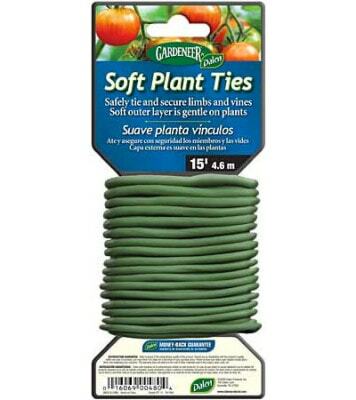 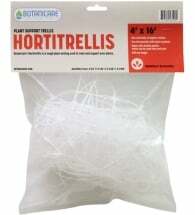 Made from flexible wire covered with a soft outer layer, they’re gentle on plants, yet strong enough to lash garden supports together. 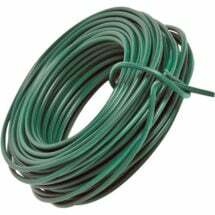 Colored green to blend with foliage. 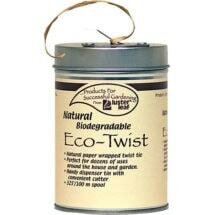 Reusable year after year. 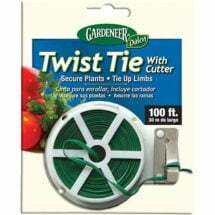 Easy to use, just cut to length with scissors or wire snips and fasten to a stake or trellis.